I am what you might call a solopreneur, which Urban Dictionary defines as “an entrepreneur who works alone, ‘solo,’ running their business single-handedly. 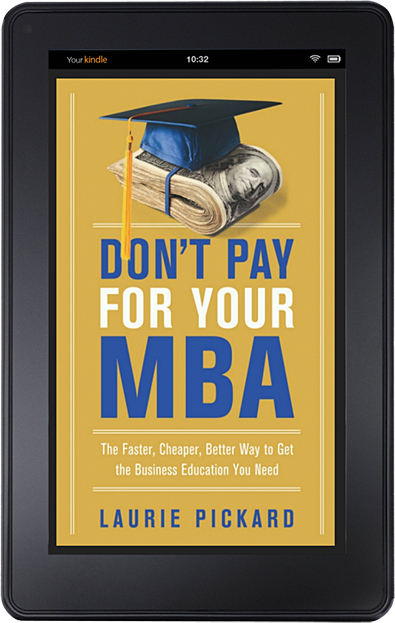 They might have contractors for hire, yet have full responsibility for the running of their business.” This describes No-Pay MBA to a tee. While I am in some ways a one-woman show, I have managed to assemble a team of consultants who are helping me get to launch day of what I’m calling No-Pay MBA 2.0. 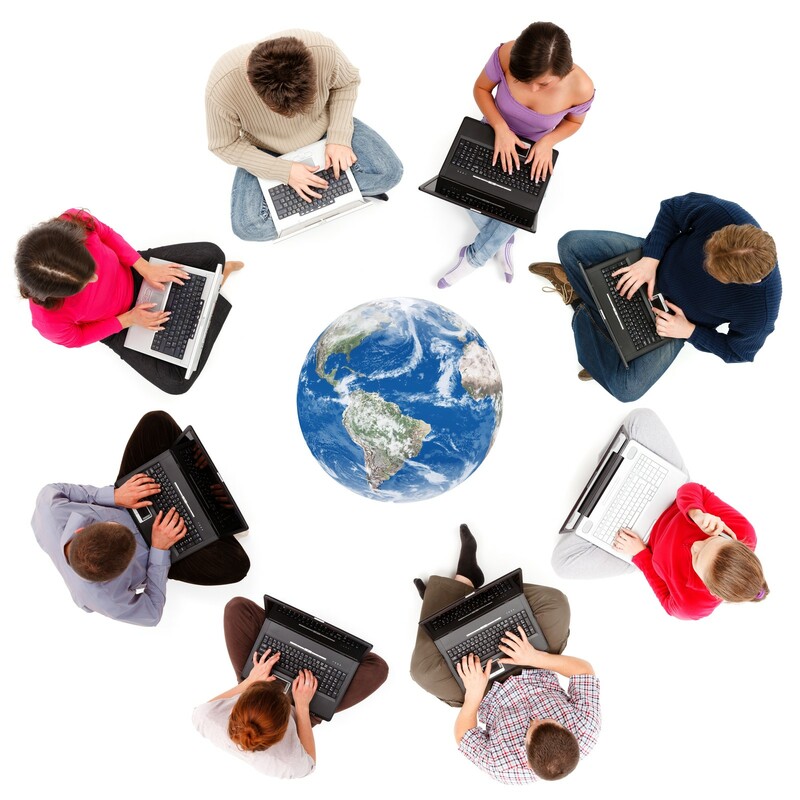 One of the most exciting things about the No-Pay MBA project is its global nature. Almost every country in the world is represented among my readers. 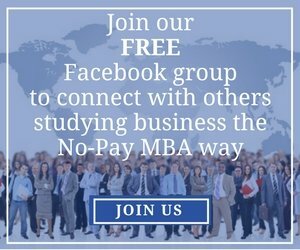 Likewise, those who have pre-registered for No-Pay MBAs come from every place imaginable - from Durban to Dallas, Mexico City to Mumbai. My team is similarly global. Andrea is an American living in Rome, and she’s helping with social media and communications. Adam, a British guy living in Mexico, is on web development. If you take a look at some of his work, I think you’ll see why I’m so excited about what he’s doing to help me build the profile section of the new and improved No-Pay MBA website. Greg in Australia is helping with front-end layout and design; and Kevin Meldau, who is South African and living in Florida, is working on graphic design. He’s just created a new logo that I’m really excited about, and you can see other samples of his work here. If you count both our places of birth and the countries in which we currently reside, this team of five represents seven countries. Only two of us are in the same time zone. I’m studying management in my MOOC coursework, but working with this team to launch this business has also been a great experience in project management. I tend to enjoy the challenge of pulling together a great product on a tight deadline. Working with a geographically dispersed team has added a level of complexity to this endeavor that has forced me to up my game. Below are some of the tools I’ve found helpful and some tips for managing a working relationship even when you’re miles apart. You are probably very familiar with the big dogs of remote teamwork - Google Drive and Dropbox for sharing documents, Skype and Hangout for communication. But here are a few other free tools you may not be aware of. World Time Buddy is a handy reference for scheduling when you’re in separate time zones. The free version allows you to compare three time zones. I’ve just started using TimeTrade to schedule appointments. This helpful service allows me to specify when I’d like to schedule which type of appointments and allows clients to book time on my calendar themselves. And of course there’s that old standby Google Calendar. What you might not know about Google Calendar is that it automatically translates calendar invites into the recipient’s time zone. 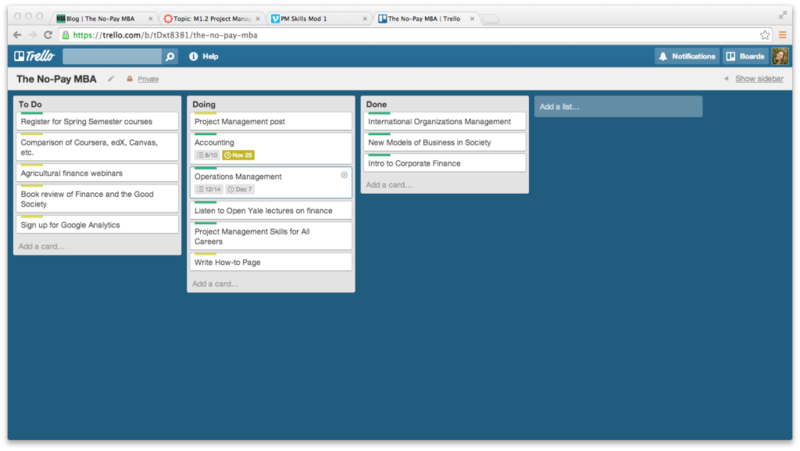 Trello is a simple but powerful application for visual project management. It uses a system called Kanban, in which the project is mapped out using cards. The cards can be moved and rearranged to indicate level of priority and the stage each task is in. Adam and I are using Trello to collaborate on web development. I’m a big fan of Gantt charts for mapping out and visualizing the project timeline. 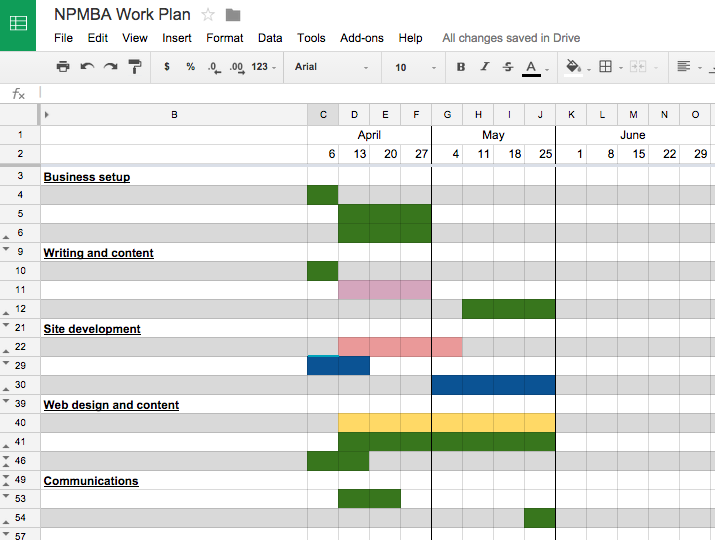 I like to create my own Gantt charts in Google Sheets and then add my team members as collaborators, but there are plenty of free web-based tools that can be used for the same purpose. The chart below shows how I’ve color coded various elements to indicate which person is taking the lead. This article has some great suggestions. I used ODesk for the first time while assembling this team. If you haven’t heard of it, ODesk is one of several sites that act as a marketplace for freelancers to sell their services. These sites are all part of an emergent re-ordering of the workforce, which I find totally fascinating. If you’d like to better understand this new flexible work economy, The Economist had a great piece on the future of work a few months back. Yes, I am a solopreneur, but I don’t plan to stay solo forever. 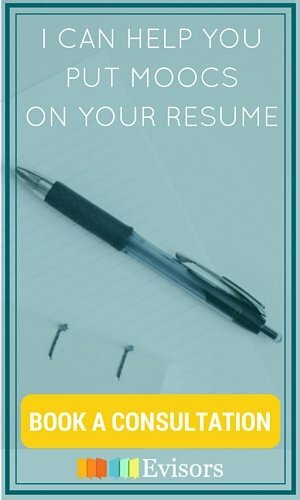 I’m using Coursolve, a digital internship platform, for my long game. 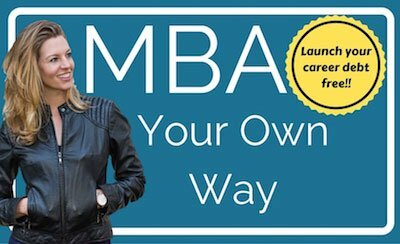 I recently posted a No-Pay MBA project to the site, which I hope will help me further hone my management skills and build my network of talent. If you’re interested, you can join my project here. Peter Drucker, who is sometimes called “the father of modern management” is reputed to have said that “organizational culture eats strategy for breakfast.” While the true origin of this quote is up for some debate, its wisdom is generally accepted. Human relationships are the most important part of any business. Creating strong relationships can be more difficult when your team members are not physically in the same place, but it’s still just as important. Use video, even when it’s awkward. Don’t underestimate the importance of seeing the face of the person you’re working with. I do a lot of work via email, but a call every once in a while goes a long way towards establishing the kind of human connection that fosters a good working relationship. Even when my connection speed is giving me grief, I still like to at least start face to face in any online call. Whether or not I turn my camera off, this little bit of face time helps to establish a connection. Make sure consultants see their part in the whole. It’s important for anyone working on your project to understand where they fit into the big picture, how you plan to use their work, and why it is critical to the success of the project. Especially when working with consultants who are not full-time employees, it’s important to make sure that both parties are in agreement about what work is to be done, what constitutes a successful outcome, and of course, compensation. Tell your people you appreciate their work. This is so important. Everyone needs to be recognized when they’ve done good work. Andrea, thank you for being so organized and on top of things. You’ve cut my stress level tremendously and given me what feels like extra hours in the day to get things done. Adam, thank you for your collaborative work style. I love that I am working with you on my site and that you’ve taken the time to understand my vision for it. Greg, thank you for all your tips and pointers on SEO and for your great suggestions on design. I can’t wait to see what you come up with! Kevin, I love your vision and your enthusiasm. Thank you for stepping up to fill a critical need at just the right time.